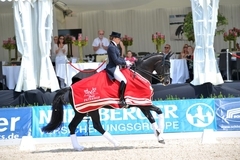 The St. Georges in Perl-Borg/GER ended with a fourth place for Della Cavalleria OLD and first place for Fackeltanz OLD. 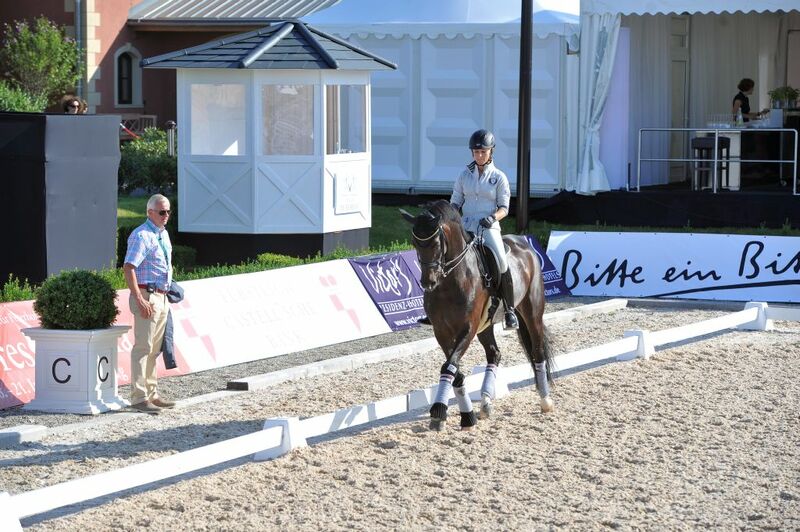 It was very hot and the footing in the warm-up ring dried out too quickly and was quite deep in the corners. That's not the kind of footing Della really likes and I already noticed that she was having a hard time while we were warming up. 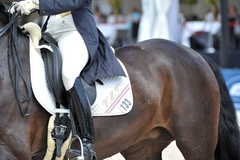 In the test, the trot work was still very good and her walk was OK but we made two mistakes in the canter tour which pushed our score down in general. In the end we still had over 71 percent, finishing fourth in a field of first class competitors. 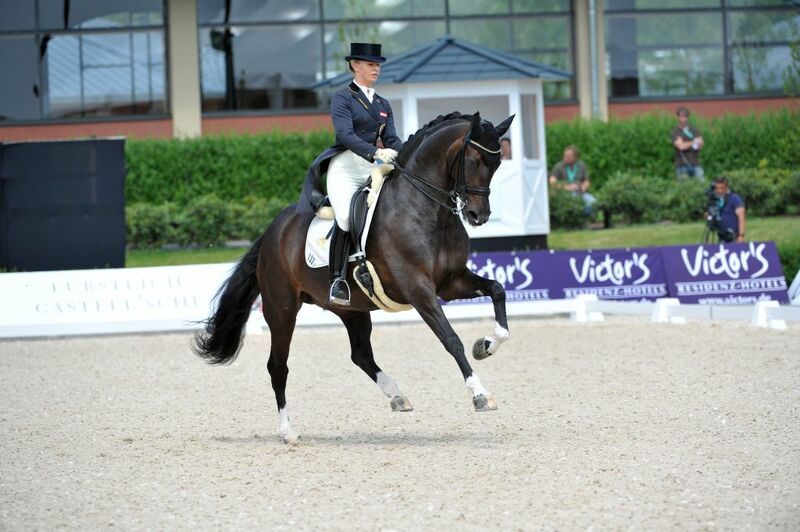 This shows that there were quite a few very good phases in the test that received high scores. We were delighted by Fackeltanz OLD's victory with Dorothee Schneider. 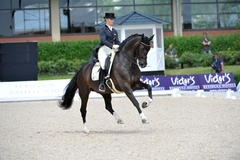 Our stallion put on a very self-assured presentation and their performance was absolutely great - a victory well earned.